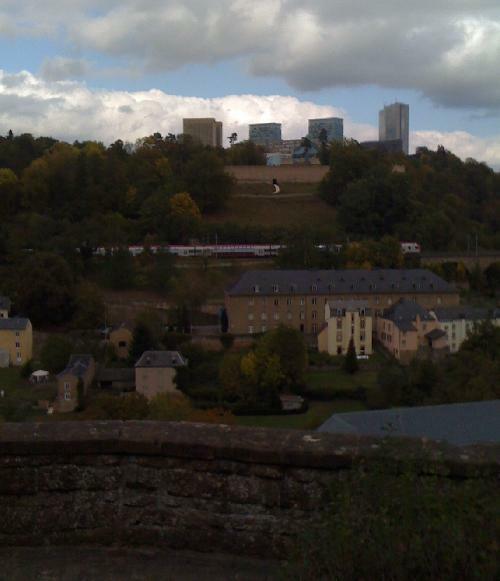 Above is a view of Luxembourg City, where I’ll be living for the rest of 2011, while I’m working at the LIS Cross-National Data Center. The glass buildings looming in the distance are the banking district of Kirschberg, with a medieval wall running in front of them; I think this captures the feel of the place pretty well. I’ll get back to writing about my usual obsessions presently, but this post reflects my scattered attempts to understand the nation I’m living in. The Grand Duchy of Luxembourg is a peculiar little country–and coming from New York City, it’s a jarring transition. I’m still getting used to being in a place where everything closes by 9 PM (and nothing opens at all on Sunday), and where you actually have to look at a bus schedule before you try to get anywhere. Living with this slower pace of life kind of forces you to acknowledge that the sense of ceaseless life and possibility you get in New York is something of an illusion, made possible by the tireless work of innumerable low wage workers, who stay on the job around the clock so as to ensure that the city never sleeps. The low-commodification, shorter-hours, less wage labor kind of economy I often like to evoke would probably look more like Luxembourg. Still, the wine here is cheap and even the gas station sells great fresh baguettes, so I think I could get used to this pace of life. And of course, a lot of it is just a question of scale and density: the whole country has a population of barely 500,000, or roughly the same as Staten Island, and the capital city is less than 90,000. Luxembourg is an especially strange place to be right now: it sort of feels like I’m in the eye of the hurricane of the European economic crisis. Daily life here seems calm and contented in one of the richest countries on earth, where GDP per capita is vastly greater than in the US and nearly three times the European Union average. According to the national statistical agency, the unemployment rate in 2010 was 4.5 percent, one of the lowest in Europe, and real GDP growth for 2011 is projected at a modest but respectable 3.4 percent. Though any economic data about Luxembourg should be taken a bit skeptically, since the majority of the country’s workforce is either foreign workers or “cross-border” workers who commute to Luxembourg from their homes in the surrounding countries. But Luxembourg has much to fear from the gathering banking crisis in Europe. Although the national economy was once based on steel, these days banking and finance make up a quarter of the Luxembourg’s GDP. Historically, the country was known as something of a tax haven and a place for nefarious individuals to stash their money, although EU membership and post-financial crisis pressure has forced a bit of transparency on the financial sector here. Of the 146 banks in the country, just 16 are headquartered in Luxembourg: the rest are subsidiaries of foreign banks, including 43 German banks and 13 French banks. Or maybe make that 12: just today comes news of the bailout of Dexia, a French-Belgian bank whose Luxembourg division is the country’s fourth-largest private employer. Due to all the banks, investment funds, and foreign companies here, Luxembourg’s external debt–the amount owed to non-Luxembourgers by the government, companies, and individuals in the country–amounts to over $3.7 million for every single person in the country. Given all this, it’s hard to see how a financial crisis in the European banking system could be anything but catastrophic here. But it’s hard for me to say: not much is written about the effect of a crisis on Luxembourg, for the sensible reason that nobody really cares what becomes of a tiny country with a GDP the size of Uganda’s. Politically, too, Luxembourg is right in the middle of things. While distrust of the European Union is high in much of Europe, Luxembourgers remain solid supporters of European integration. Prime Minister Jean-Claude Juncker of the Christian-democratic Christian Social People’s Party (CSV) has been in power here since 1995, and he has played a role in the EU out of all proportion to his diminutive country. He’s long been known as a canny political operator in the Eurozone, and recently made some news by musing on the benefits of darkness and secrecy. Just as I was arriving here, EU finance ministers were meeting in Luxembourg, in a meeting chaired by Juncker, to map out their next bumbling steps toward non-resolution of the crisis. It seems that Juncker himself favors moving in the direction of fiscal integration in Europe, and he has spoken favorably of issuing “eurobonds” as a response to the crisis; this seems to have strained his relationships with his French and German patrons. All that seems a bit remote from daily life here, though, at least if you don’t work for a bank. As for politics within Luxembourg itself, it does exist–even if you might not always be able to tell. Like many European countries, Luxembourg is a constitutional monarchy; in this case, though, the monarch is not a king but a Grand Duke. (The back story here is that Luxembourg used to be ruled by the King of the Netherlands; however, Luxembourg’s rules of succession didn’t allow for female monarchs, so when a Queen came to power in the Netherlands control of Luxembourg passed to a Grand Duke). The Grand Duke is just a figurehead, although until recently he had the power to veto laws–a power he lost after threatening to block a euthanasia bill passed by parliament. The elected leader, Juncker, feels a bit like a monarch himself–as I noted, he’s been in power for 16 years. At the national level, Luxembourg politics is dominated by the Christian Democrats of Juncker’s CSV, which has been the dominant party of government and held the Prime Minister’s post continually with only one brief exception since World War II. Locally, however, the other parties have their regional strengths. Looking at the results of the muncipal elections this morning, I was reminded how different the geography of class looks in other countries, and how much my own intuitions about it are shaped by my parochial U.S. experience. Americans these days are used to thinking of the inner cities as strongholds of left-liberalism, with the suburbs and rural areas as wellsprings of reaction. This, however, is not the pattern you see in a lot of European cities, where the rich and middle classes remained in the center and the working class was pushed to the fringes. Most famously, Paris is surrounded by the Red Belt: the working class suburbs that long provided the core of the French Communist Party’s support. 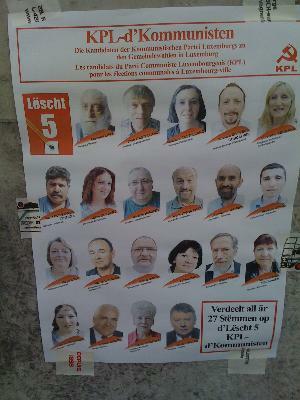 In Luxembourg, the social democratic and leftist parties find their greatest support in the “Red Lands”, the historic steel and iron producing heartland in the south of the country. The politics of Luxembourg City itself, in contrast, are thoroughly bourgeois. The winning party in the just-finished elections was the long-dominant Democratic Party, which is a “liberal” party in the European sense: progressive on issues like LGBT rights and abortion, and secular (unlike the ruling CSV), but committed to the neo-liberal economic line on things like deregulation and low taxes. They will govern in a coalition with the Green Party, which appears to be as ideologically slippery as its counterparts in Germany and elsewhere. Of course, there’s a lot more to political life than electoral politics, even in the sleepy Grand Duchy. My biggest immediate regret about leaving New York was that I had to leave behind the exciting and surprising Occupy Wall Street protests; I only managed to make it down once before I left, but I found the whole scene inspiring and confusing in equal measure. 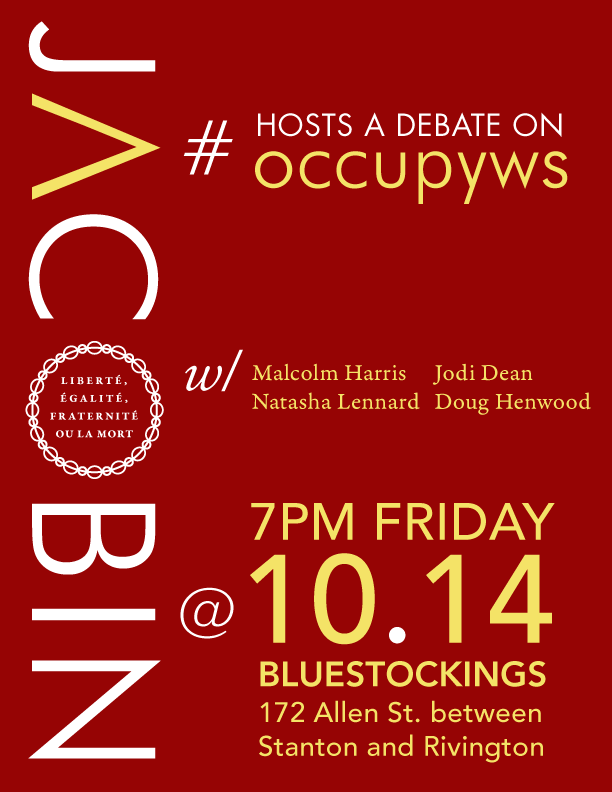 For whatever reason, the movement has struck a chord, and I was amazed to turn on an Internet stream of New York’s NPR station today and find that just about every show was talking about OWS. 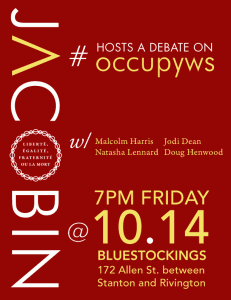 This Saturday, there is a call for protests around the world that are in some kind of loose solidarity with OWS–including, it turns out, in Luxembourg. I’ll be tracking these folks down and seeing what they’re up to, and I’ll report back on how the events on Wall Street look to folks in the heartland of the European 1 percent.